Suppliers of bathroom hand rails with storage. Ideal for baths or showers with each hand rail having an intergrated soap basket. 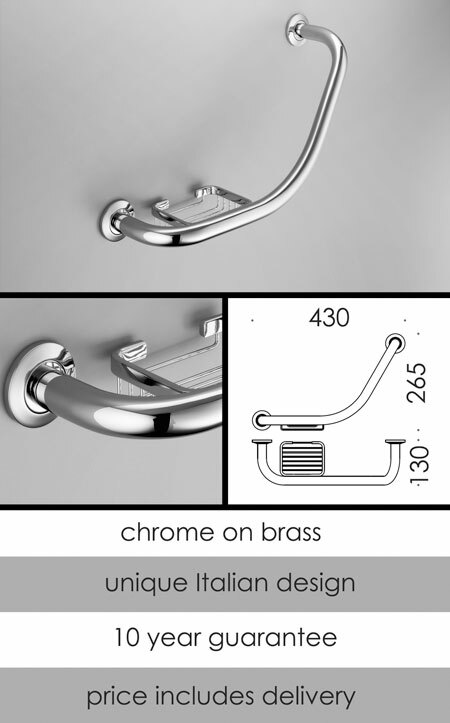 Contemporary styled in Italy with luxury chrome on brass construction. Easily adapted for left or right handing.